Of late, I’ve been into giving (and receiving) gifts of food and beverage. It’s a fun idea to consider this holiday season. 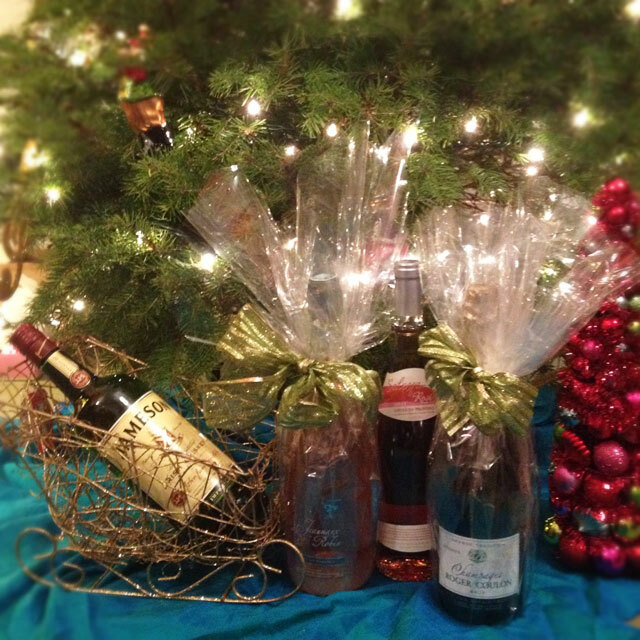 Wine, beer or alcohol: if you have a friend/family member that indulges in these pleasures, you just can’t go wrong with these gifts. Usually I pick up wine for 13 bucks or less, so receiving a fancy bottle is always a welcomed treat. Same goes for vodka, whiskey and other liquors. Peroni for your beer drinking paisans – so easy! I’m sure your friends or Uncle Giuseppe will appreciate the gift of drink more than a matching glove/scarf/hat set. Olive Oil – High quality olive oil is a staple in a chef’s kitchen but the good stuff gets pricey. Olive oil is a practical (awesome) gift for your Mom, Aunt, or friends that spend a lot of time in the kitchen. I recommend going to Eataly and picking up some nice imported specialty oil or go to your local Italian market (Valentino’s has some options I like). Wrap the bottle in clear plastic with a bow tied onto a spoon from the dollar store (very cheap) and you’ll have a gift that won’t be re-gifted! 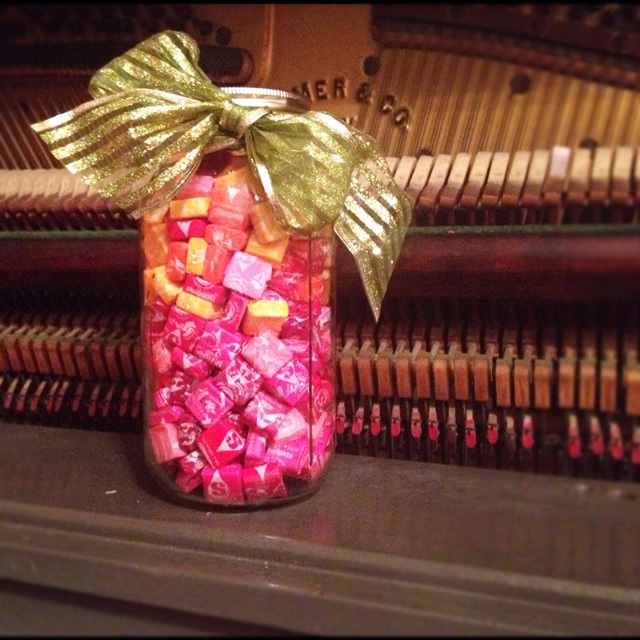 Sweets – As a birthday gift for a friend, I recently filled a huge mason jar with Starbursts. Try this idea with chocolates, butter scotch candies, anything candy really. I wouldn’t bother wrapping it up – the colorfully candy is festive enough, just add a bow. Spices – Reasonably priced and makes for a hot n’ spicy gift basket or a garden herb mix, spices for meats…. tailor this food gift treat specific to your love ones tastes! 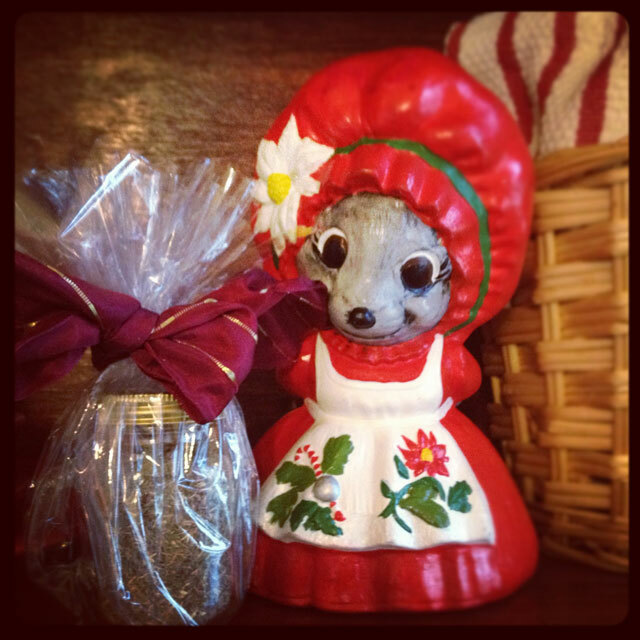 You can purchase food and beverage gifts locally, which is another great reason to consider this idea. Go to the wine store on the corner or your Italian deli up the block. It’s convenient for you and more importantly you’ll be supporting the local business in your neighborhood.